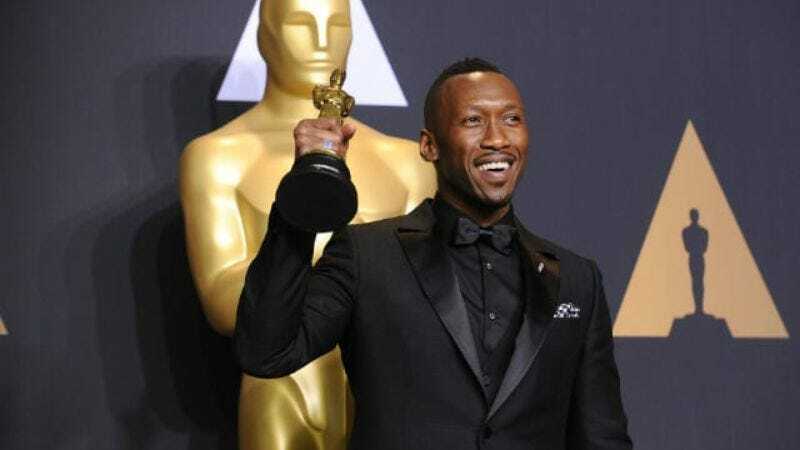 One of the highlights of last night’s Academy Awards ceremony (aside from, well, that) was seeing actor Mahershala Ali win a Best Supporting Actor Oscar for his turn in Moonlight. It was a nuanced, soulful performance that stands out even on Ali’s considerable résumé, which includes supporting turns in House Of Cards, The Hunger Games series, Luke Cage, and many more. While many first became aware of Ali for his role on the USA series The 4400 or in 2008’s The Curious Case of Benjamin Button, others may have bought his album. Yep, in the mid-2000s, Ali released two hip-hop records under the name of Prince Ali. He found some success, too, even collaborating with Rakaa Iriscience of Dilated Peoples on his 2007 album Curb Side Service. It was his second album, following the previous year’s Corner Ensemble. By 2008, however, his acting career took precedence. In an interview with Complex, he also discussed how he likes to make Spotify playlists for his characters. And now we really, really want to hear what he’s putting on the one for James Cameron and Robert Rodriguez’s Alita: Battle Angel.